My first six week stint as a Vacation Trainee in 1987 was actually spent at BBC Norwich. 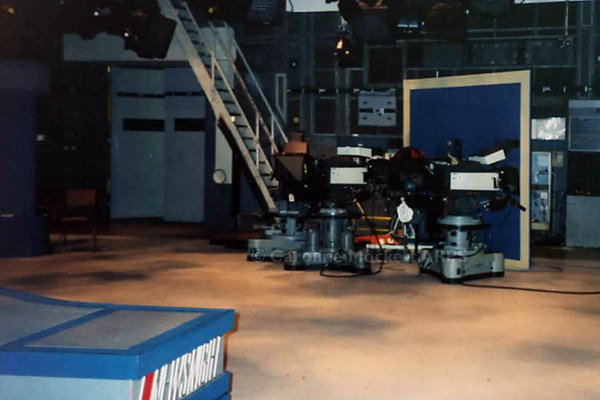 But the summer of 1988 was my first time in Television Centre as a paid “employee”. 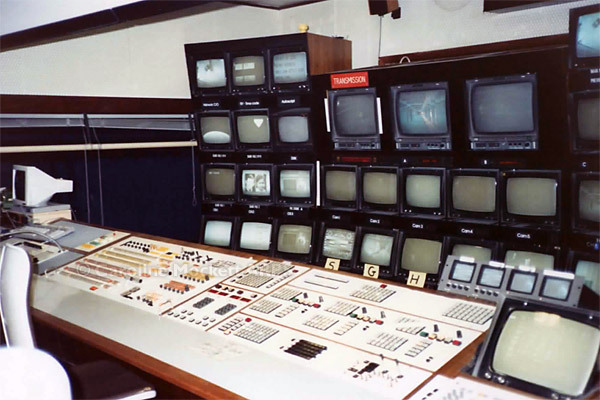 Our six-week shift pattern had us covering news bulletins from the old Lime Grove studios down the road, Newsnight from TC2 at TVC and Breakfast Time – my first taste of Night Shifts. These four pictures are the only ones I took during that summer – in the days when film was expensive, cameras were quite bulky, and I generally regarded photography as something you did when you saw “pretty things” – not the inside of the world’s leading broadcaster. 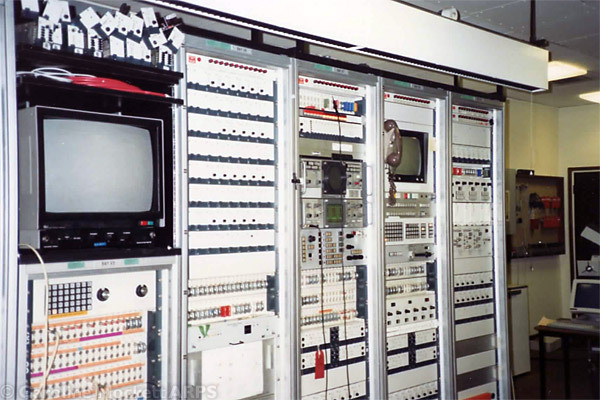 In 1989 I went back for another 6 weeks, and upon graduating, I started my training as a Broadcast Engineer in September 1990 at the BBC’s dedicated training centre in Evesham. 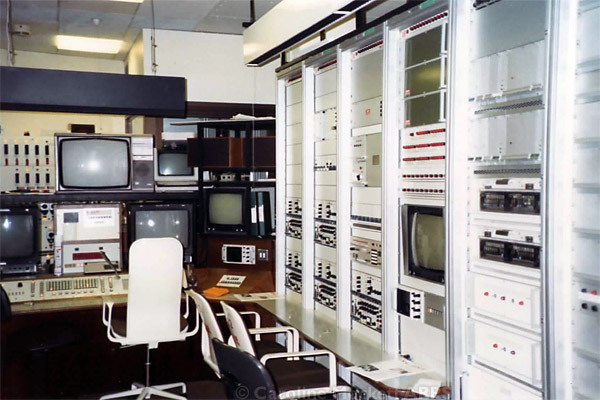 Through the 90’s I worked my way up through the ranks as an Engineer, Senior Engineer and finally Supervisory Engineer with the News department. Managers came and went, but a core of the staff remained throughout that time. We were still working a 6-week shift pattern and the News began its 24-hour broadcasting in the latter half of the decade. Malcom, my shift supervisor through much of the time, was also involved in rigging the extra facilities required for special programmes such as the Budget, Locals and General Elections – and I often got involved in that too. It would stand me in good stead… but that’s for Part 2. This entry was posted in broadcast engineering and tagged bbc, broadcast engineer, broadcasting, tc2, television centre, tvc, white city. Bookmark the permalink.